In the view of modern garments business, it’s seen that, quality is the first requirement of all the buyer around the world. In garments manufacturing, Cutting is an important process to make a quality product. Quality full fabric cutting reduce the wastage of fabric and make the business profitable. To achieve quality full fabric cutting, a few method have to maintain which are discussed in the following. Here cutting process is done by using knife, scissor, drill etc. Knife is placed in the head of the cutting machine. Manual method is the most used cutting method in garments industry. Educated man power is not required. Low cost knife is enough here to cut the fabric. Not suitable for large scale production. Cutting speed cannot be controlled. Intensity of accident is very high. 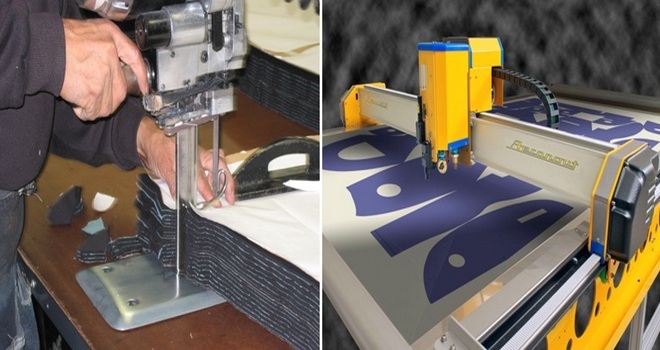 Higher labor cost than computerized cutting method. In modern garments manufacturing industry, computerized cutting method becomes so much popular in day by day due its higher production and less time consuming efficiency. Here all programmes are loaded into the computer and the computer performs all the activities which are loaded. Very much effective cutting by computer controlled system. Cutting speed can be controlled. Intensity of accident is very low. Fabrics can be cut 7-8 times higher than manual cutting method. Skilled and educated manpower is required. If correct disc is not loaded in the computer, then error will be indicated. All of my questions sektsed-thantl!